Machined and inspected parts made of high-strength steel. Designed for all types of hard and abrasive minerals. Settings adjustment, locking, and clearing managed from a control center. The head and bowl are easy to remove. Receiving opening from 50 to 460 mm. Engine power from 30 to 300 Kw. 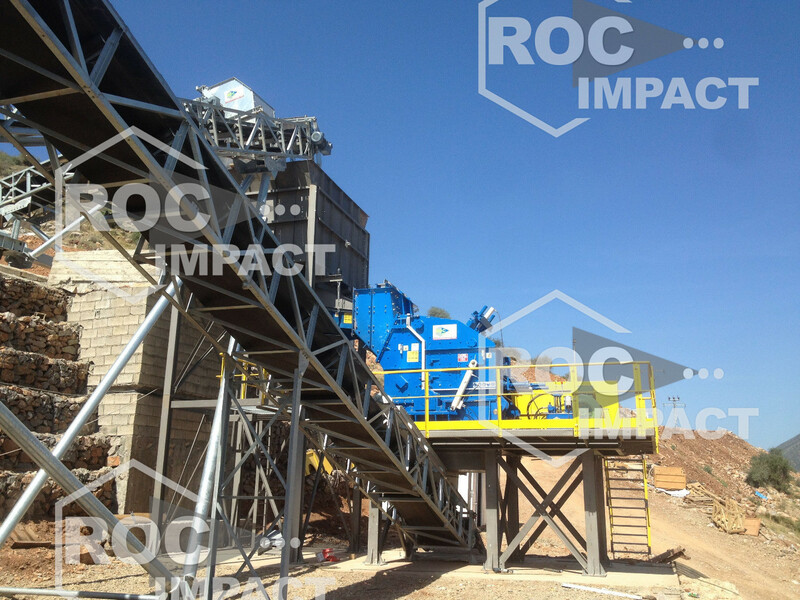 the Roc STD, standard type for coarse crushing. the Roc SH, short head type for fine crushing. These two crusher types are designed for secondary or tertiary crushing of highly abrasive materials in ether fixed or mobile plants. Simplicity of design and rugged construction make Roc Impact cone crushers ideal for any crushing operation. You can choose from a wide range of cone crusher models for optimal yield and cost-effective production. 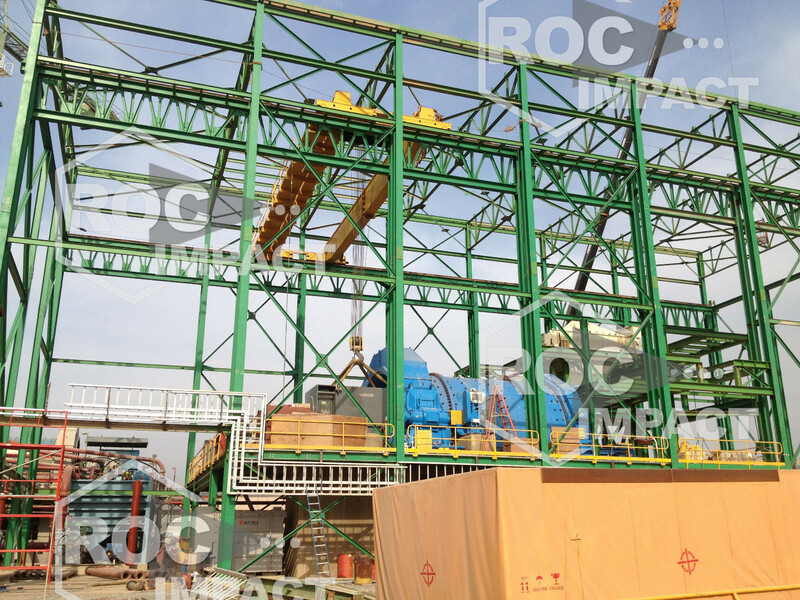 The upper and lower sections of the main frame of Roc cone crushers are securely joined with tension bolts. Each part is made of high strength steel, which allows the frame to withstand the high stress involved in the crushing operation. In addition, a lining is installed at the wear point where material passes through. 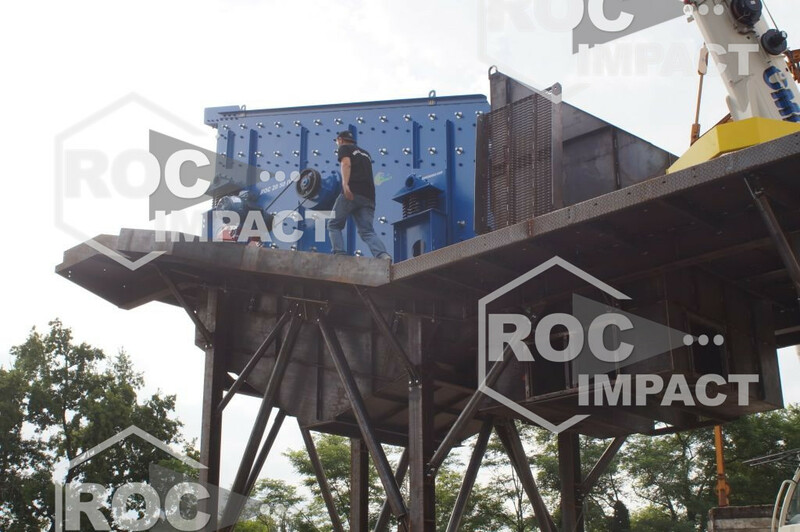 Roc cone crushers are equipped with two hydraulic cylinders for adjusting the crusher. Controlled from a central control unit, they make it very easy to "tighten" or "loosen" the crusher. The external lubrication system provides a constant flow of oil to the machine for smooth rotation thanks to pressurized lubrication. The spring-mounted release system allows tramp materials to go through, providing maximum protection for the machine. Roc cone crushers have a lubrication system that is interlocked with the main motor for optimal safety. They also have safety features installed on the lubrication reservoir, including temperature and level sensors, and a pressure switch. It is recommended to use a permanent magnet before the crusher. The bronze bushings offer a high degree of resistance to the impact produced during grinding. Because Roc cone crushers are easy to access during disassembly and inexpensive bronze bushings are used, maintenance is easy. It should also be noted that the head and the bowl can be removed without dismantling the mechanical assembly. * Capacity based on a continuous and regular supply of clean, dry rock of standard hardness with a bulk density of 1.6 tons/m3. Capacity may vary depending on the size and nature of the rock and the operating conditions of the plant.